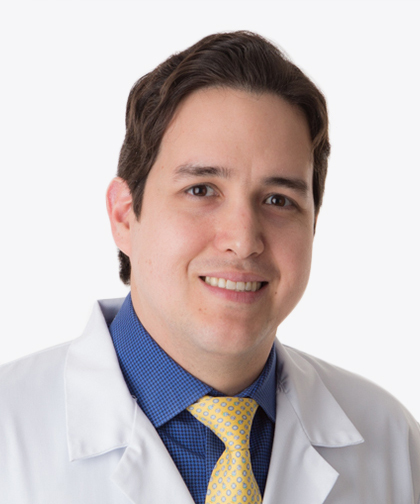 Jorge Romero, MD, is an Attending Physician and Assistant Professor of Medicine in the Arrhythmia Service in the Cardiology Division at the MontefioreEinstein Center for Vascular Care. He has been in this position since the summer of 2016. Dr. Romero specializes in the treatment of complex arrhythmias, particularly in catheter ablation of ventricular tachycardia and atrial fibrillation using cutting-edge technology. He is one of the few electrophysiologists in the country who performs these procedures without fluoroscopy, which avoids radiation exposure to both patients and his staff. Dr. Romero, who hails from Colombia, earned his medical degree at the Universidad del Valle in Cali Colombia. Following graduation, he spent a year working as a community physician in Colombia’s rural areas before coming to the United States. There, he embarked on a series of residencies and cardiovascular and cardiac electrophysiology fellowships, including at Albert Einstein College of Medicine, Ronald Reagan UCLA Medical Center, and finally at Brigham and Women’s Hospital/Harvard Medical School. His extensive research focuses on issues in cardiology, and specifically on electrophysiology. He has developed the autonomic modulation program for the treatment of refractory ventricular arrhythmias by performing bilateral cervico-thoracic sympathectomy. Additionally, he investigates His-bundle pacing for patients with heart failure who are not candidates for cardiac resynchronization therapy as well as the use of devices to occlude the left atrial appendage for patients with atrial fibrillation who cannot be anticoagulated. Dr. Romero has designed and played a leading role in managing two prospective clinical research studies at the Montefiore Einstein Center for Heart and Vascular Care: implementing novel catheter ablation techniques, and developing techniques for esophageal and phrenic nerve protection, particularly during radiofrequency ablation of atrial fibrillation. He is one of the few electrophysiologists in the world, along with Luigi Di Biase, MD, PhD, who performs electrical isolation of the left atrial appendage for treatment of persistent and long persistent atrial fibrillation. Dr. Romero has been recognized with several awards, including the Cardiology Fellowship Training Program Director’s Award at Albert Einstein College of Medicine, and two Young Investigator Awards—one from the American Heart Association and the other from the American Society of Hypertension. Dr. Romero is a member of the American College of Cardiology (ACC) and the American Heart Association (AHA), and a fellow of the Heart Rhythm Society (FHRS) and the American College of Cardiology (FACC). Dr. Romero is the author of approximately 80 publications in indexed journals, 150 abstracts, and eight electrophysiology book chapters. He serves as a reviewer for major electrophysiology and cardiology journals.